We hope you can find everything you need. 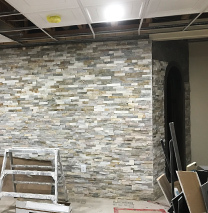 Plaster & Drywall Solutions is focused on providing high-quality service and customer satisfaction - we will do everything we can to meet your expectations. We are proud to have built a solid reputation with our customers and work to exceed your expectations. Your house or business is a huge investment, so why no show it off with the best craftsmenship in the business? 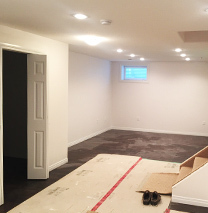 Unfinished basements are an opportunity to expand the room in your home. Let us finish the space for you. Sometimes the basement needs an upgrade and a touch of creativiy is needed in the makeover development. 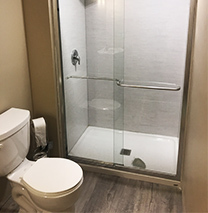 From tubs to showers, tiles and laminate flooring, build the bathroom for your basement suite. For luxurious stonework and design, make your vision a reality. We even build wine cellars and more. 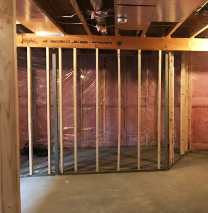 Make use of the room in your basement, and frame the walls just the way you want to, customized for you. 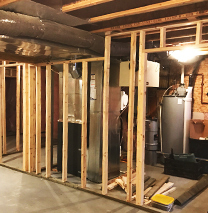 We are able to repair issues related to water damage, collapsed construction, or structures in need of a lift. 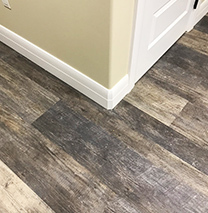 Our experts will carry out your flooring installation project with care and precision. 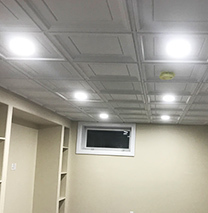 T-bar ceilings are also known as drop ceilings, false ceilings or suspended ceilings. Read our reviews on www.homestars.com. 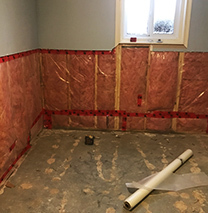 © 2018 - Plaster & Drywall Solutions Inc. All rights reserved. Website created by: Photon Motion Inc.